A close relative of onions and garlic, leeks have a mild onion-like flavor that works well in soups and a variety of other dishes. Leeks have been documented in ancient Egypt and Mesopotamia. They are also a very hardy plant and easy to cultivate. Leeks contain a considerable amount vitamin A. A serving of leeks contains roughly 65% for women and 50% for men of the daily recommended allowance of vitamin A. Vitamin A is necessary for healthy blood cell development. Vitamin A also aids in the growth of new red blood cells and white blood cells and is known to help your retinas function under low light conditions. If you want to keep your bones healthy, add leeks to your diet. 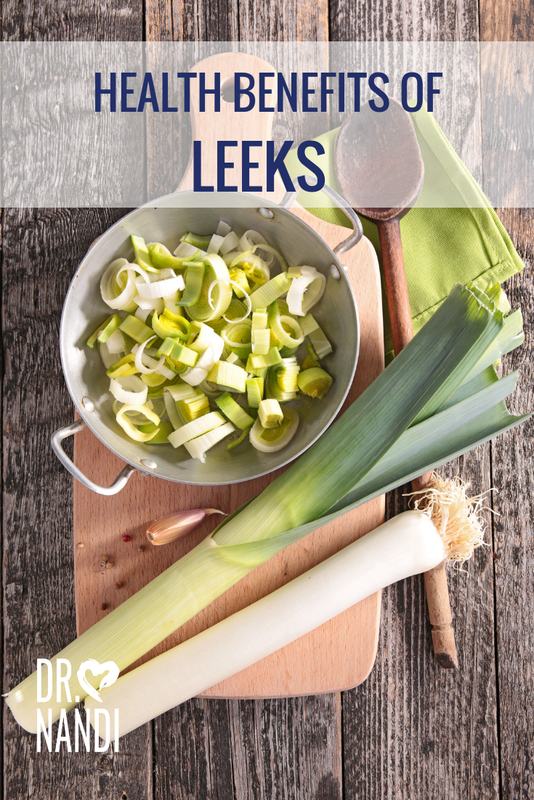 Leeks contain a high amount of vitamin K which is known to help in regulating blood flow. Low levels of vitamin K is associated with poor circulation. 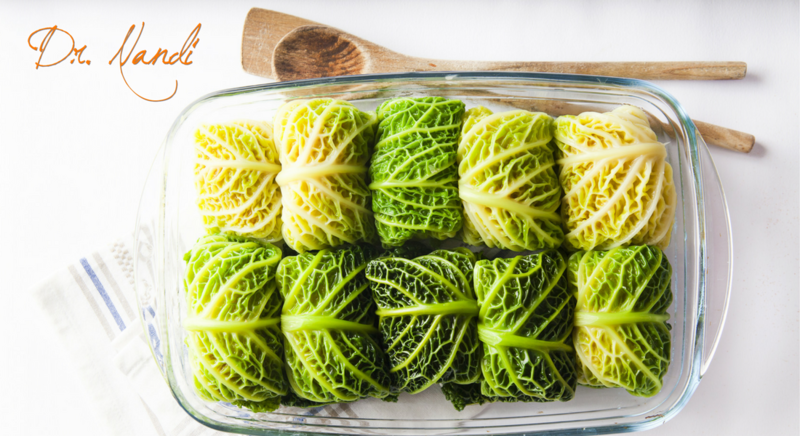 Vitamin K in leeks is helpful in activating the protein osteocalcin which is essential for bone health. One serving of leeks contains nearly 50% for women and nearly 40% for men of the daily recommended allowance of vitamin K.
Leeks belong to the allium family and recent studies have shown that this family has a blood pressure lowering effect. Studies are currently being done on leeks and promising results have found that leeks have the ability to help prevent platelets from clotting which could possibly help protect you against a heart attack. Leeks can help rid your body of homocysteine, a molecule that can be very detrimental to cardiovascular health. Plus leeks have been found to help lower the bad cholesterol (LDL) while raising the good cholesterol (HDL). Research has found that leeks contain substantial levels of the flavonoid kaempferol. Kaempferol helps to protect the lining of blood vessels especially against free radicals or reactive oxygen species. The flavonoid may also increase the production of nitric oxide which is a substance that acts as a natural dilator and relaxant of blood vessels in the body. This action allows blood vessels to rest and begin to lower the risk of hypertension. As mentioned earlier, leeks belong to the allium family and are known to contain compounds that have been known to fight stomach and colorectal cancer. 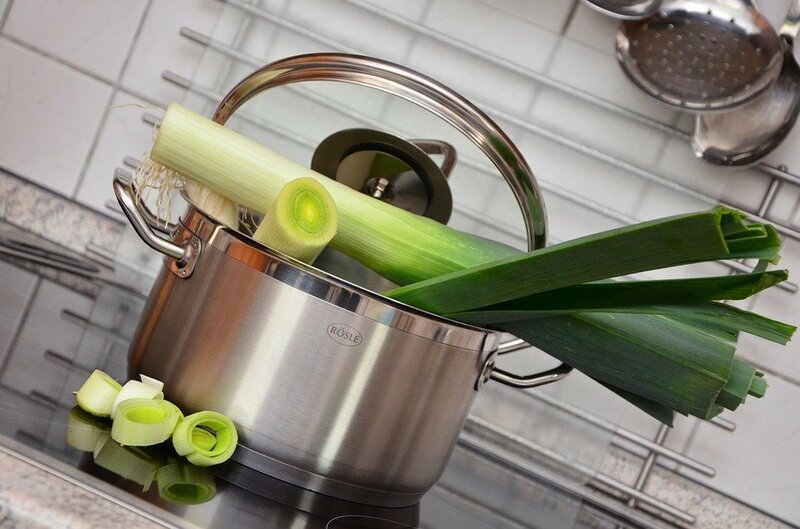 Researchers have found that allyl factors which are in leeks can inhibit these cancers. Studies are currently being done and promising results have shown that allyl factors may help to prevent breast, colon, lung and esophageal cancer. Check out this awesome Leeks & Chicken Shepherds Pie. This meal is great for the whole family and the mission to becoming your own #HealthHero ! Why not treat yourself to this great tasting recipe that is sure to please everyone. Healthy ingredients come together to make a delicious #HealthHero meal.